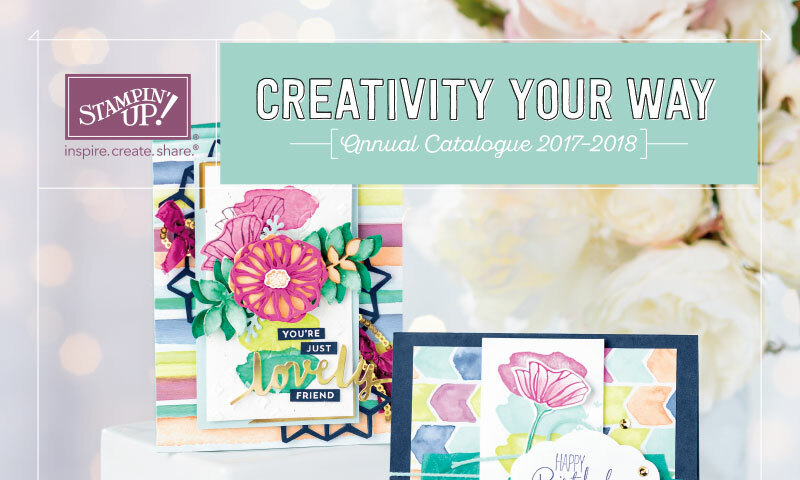 Come along for a relaxing, fun, crafty afternoon and get your hands on the new 2017-2018 Stampin Up Catalogue. As usual, Stampin' Up! have excelled themselves with an amazing catalogue full of stamps, inks, papers, accessories, ideas and inspiration. You won't be disappointed! Pick up your new 20117-2018 Stampin Up catalogue! (if you haven't already received your copy). Please RSVP for catering and make & take purposes – SMS 0488 300 307 or email melissagiffordsu@gmail.com. I am in the Willetton area and will confirm my address once you RSVP for those who need it.